In China as well as in India, when it comes to making high quality tea, no effort is spared in ensuring that only the best leaves are selected. 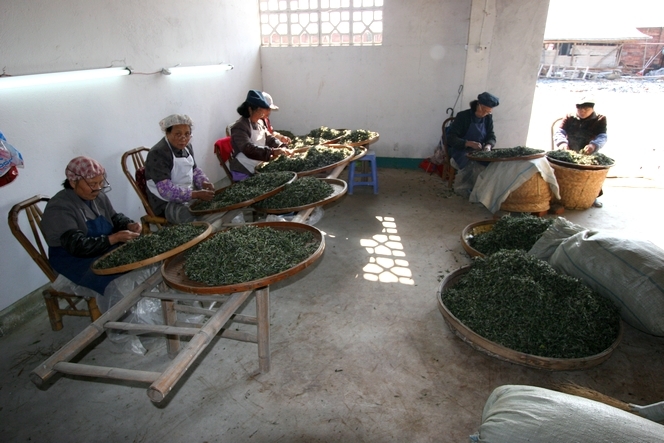 Here, in Fuding (China), these workers are checking all the leaves of the Bai Mu Dan that has just been produced, one by one. It is a painstaking task that requires a great deal of patience. Only when this stage is finished can the leaves be packed into chests and shipped to the buyer.